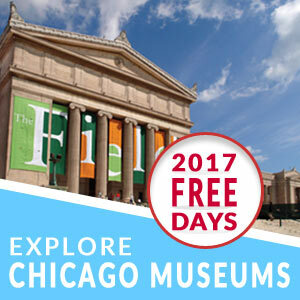 Explore Chicago » 3 Ways to Experience the Best of Chicago SummerDance! If you haven’t been to Chicago SummerDance yet, you’ve only got a few more weeks to enjoy this beloved Chicago festival. Here are three events not to miss! Hit the dance floor with Chicago’s own DJ Casper on a rare DJ night. Earning his nickname because he almost always wears white, Casper became a celebrity when he created the party sensation Cha-Cha Slide. He’ll be playing steppin’ and slide music (and of course teaching the moves) on Friday, August 26. Hear the Pan-latin sounds of Locos Por Juana on Friday, September 9 when SummerDance presents this Miami-based bilingual Latin band. Their sound is indefinable yet irresistible, based on the members’ diverse origins from places like Colombia, Puerto Rico, and St. Thomas, and sounds like reggae, dub, and funk. The Miami Herald dubbed them “Miami’s beloved Latin-reggae-hip-hop mashup master.” Tierra Colombiana Folkloric Dance Company presents Cumbia dance lessons starting at 6pm. 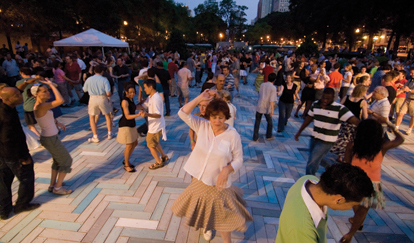 Experience two of Chicago’s best festivals on Thursday, September 15, when the 13th annual World Music Festival: Chicago 2011 kicks off at SummerDance with the Occidental Brothers Dance Band International. This Chicago-based band plays classic Central and West African dance music, specializing in soukous, Highlife, Rumba, Dry Guitar, and other delights from the great continent. In true SummerDance style, there will be a dance lesson before the concert.